A prominent psychiatric publication, “Complementary and Integrative Treatments in Psychiatric Practice“, published in 2017 by the American Psychiatric Association, features broad-spectrum micronutrients as “crucially involved in…enhancing a diverse range of normal brain functions”. 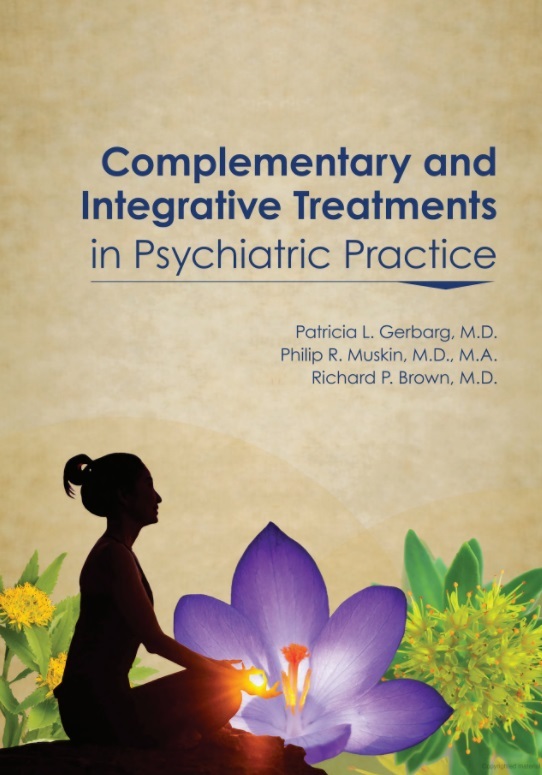 Published by the American Psychiatric Association as a modern textbook for integrative clinicians, “Complementary and Integrative Treatments in Psychiatric Practice” discusses evidence-based therapies and features a chapter on the neurotrophic effects of micronutrients and their role in improving patient outcomes. Over 30 independent medical journal publications support the clinical use of broad spectrum micronutrients for the treatment of a wide range of brain-related disorders. Further, the text specifically mentions the safety and effectiveness of a NutraTek™ enhanced formulation also known as NeuroSpectrum™360. The authors begin their narrative on micronutrient research by examining evidence with respect to single element therapy, wherein patients supplemented with one or a few individual nutrients rather than a broad spectrum blend. In the case of broad spectrum versus individual element therapies, the text relies on prevailing research which shows that providing individual nutrients to the body “can be disruptive by creating imbalances…”. At least 10, preferably more (25 or so), minerals and vitamins. Individual ingredient doses exceeding the RDA. Absence of citrus bioflavonoids which interfere with drugs. Availability of peer-review studies on safety and efficacy using comparable formulations. Beyond behavioural health and injury recovery, research done by Dr. Bruce Ames demonstrated that micronutrient deficiencies can increase oxidative damage to nuclear and mitochondiral DNA, “causing metabolic changes in multiple organ systems, chronic inflammation, neuronal deterioration, cancer, and accelerated aging.” Dietary intake of broad-spectrum micronutrients like NeuroSpectrum™360 has been shown to slow these changes. (Ames 2010). The high quality ingredients, scientific balance and specialized processing of the NeuroSpectrum™360 formulation provide a uniquely effective delivery system which has been shown to improve clinical outcomes across a wide range of brain related disorders. Patients suffering from brain injury, and those with increased nutritional needs have been shown to benefit greatly from clinical doses of broad spectrum micronutrient therapy.